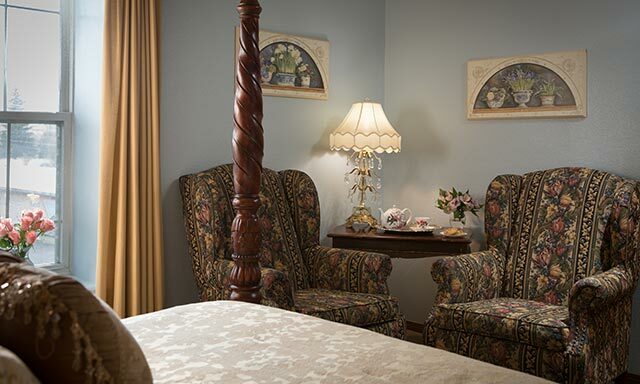 Let us treat you like royalty as you relax in our luxurious Coeur d’Alene accommodations. 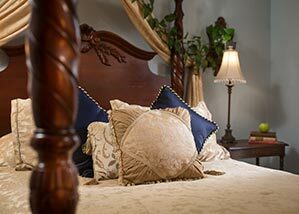 This majestic room with ornate bed crown, four-poster Thomasville bed, deep rich colors, and partial-lake view. Unwind in the Queen Anne wingback chairs and relive the exploits of the day, or prop your feet up on the ottoman and dream of tomorrow. Private bathroom with shower, this comfortable room is sure to charm. 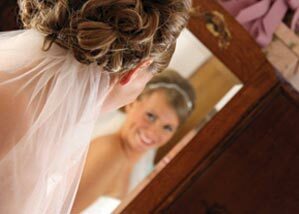 Be sure to check out our unique Coeur d’Alene lodging packages.